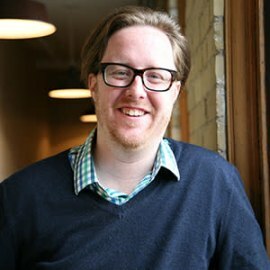 Trevor Coleman is a founder, product designer and design thinking consultant from Toronto, Ontario. As Founder and Chief Product Officer of Interaxon, he co-created Muse: the brain sensing headband, for which he won the 2014 Silver UX Award for Best Emerging Technology Experience. Trevor’s daily experience and deep understanding of human cognition helped him develop a unique and collaborative approach to design thinking based on the fundamental neurological and psychological underpinnings of creativity and play. Presently Trevor teaches an annual Design Thinking syndicate at the Canadian Forces College as part of the Advanced Joint Warfighting Studies Program, is developing Come Bye: A Casual Sheep Dog Simulation Game (coming to mobile platforms this year), and works as a consultant with organizations looking to use Design Thinking to make better decisions and build better products.